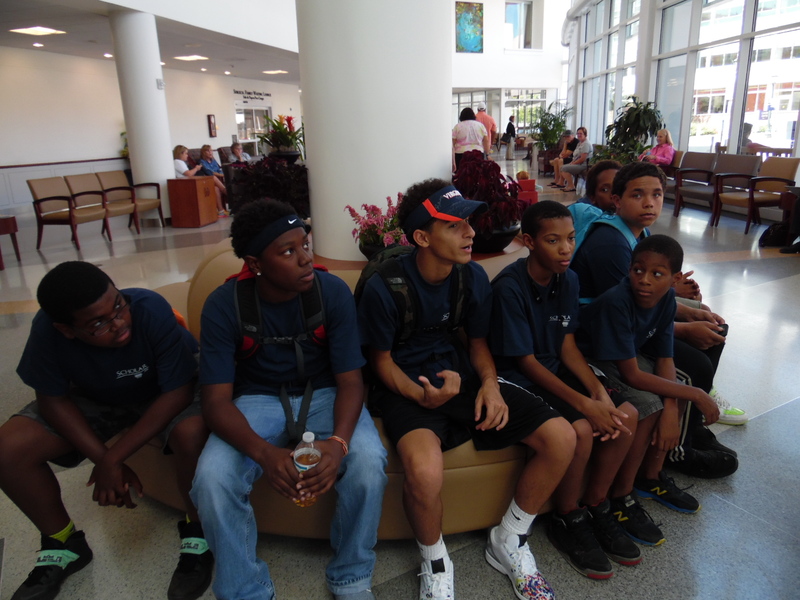 The Orange County Scholar program gives students a chance to experience the grounds at UVA during the middle school and early high school years. 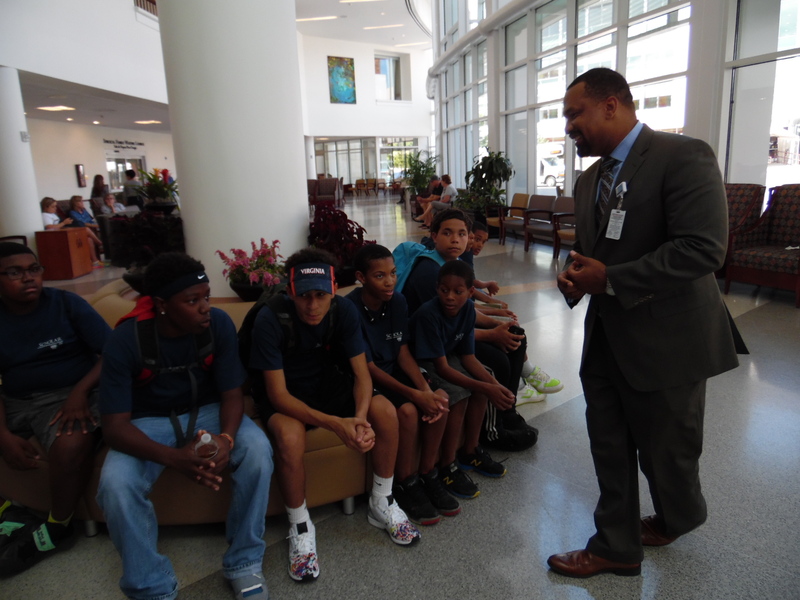 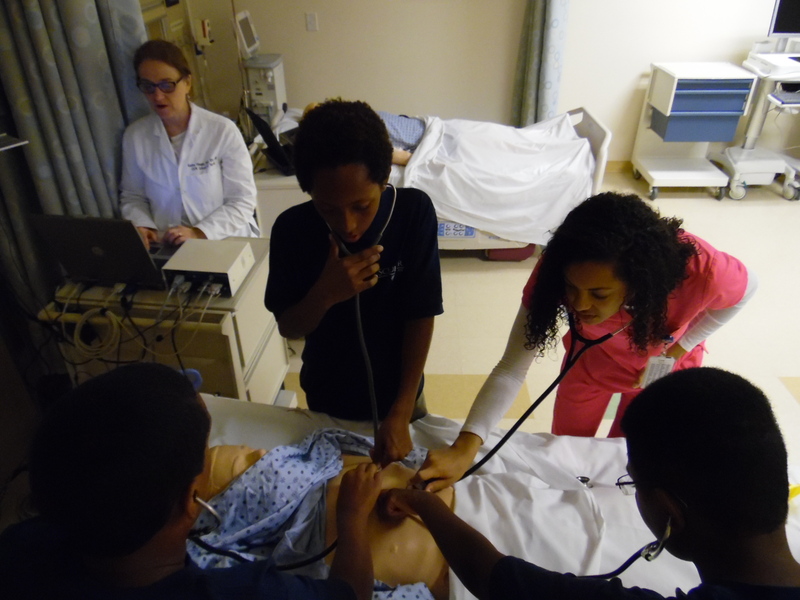 The scholars chose to visit the medical center to explore careers within the field of medicine. 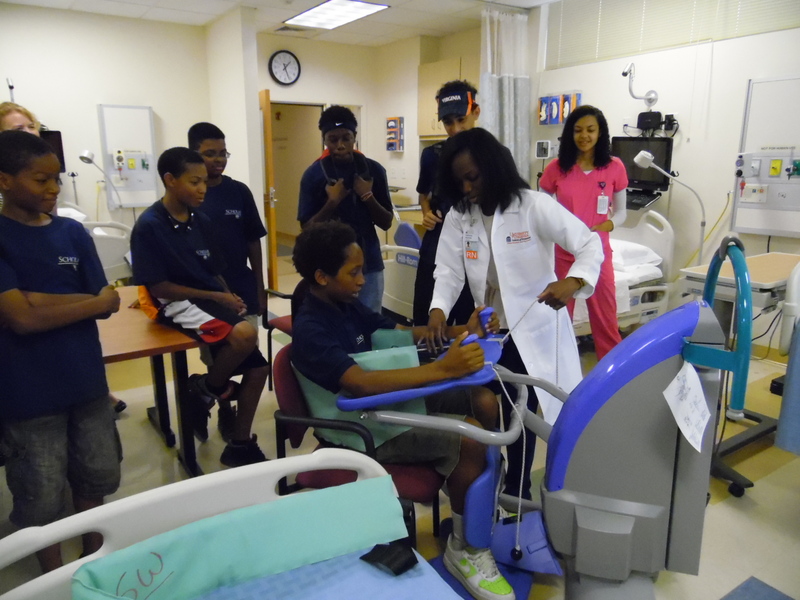 Check out the video here for more information about the Orange County Scholars. 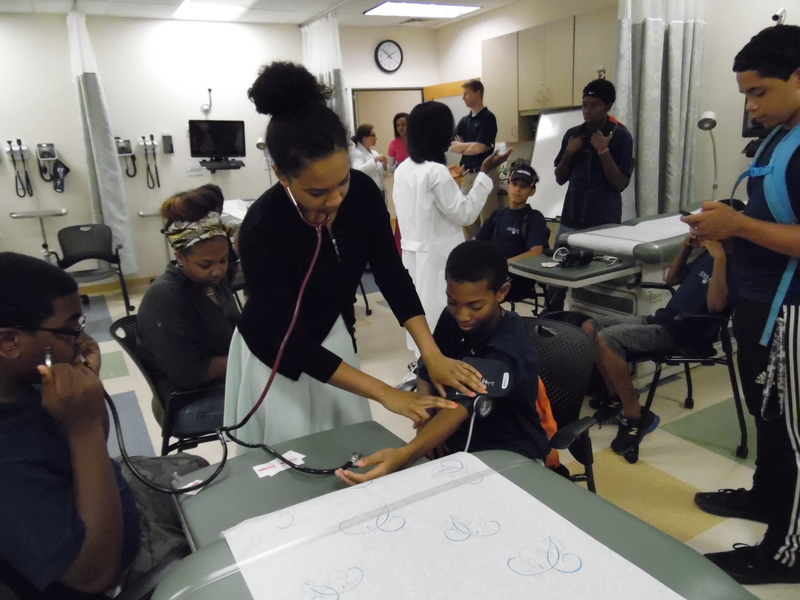 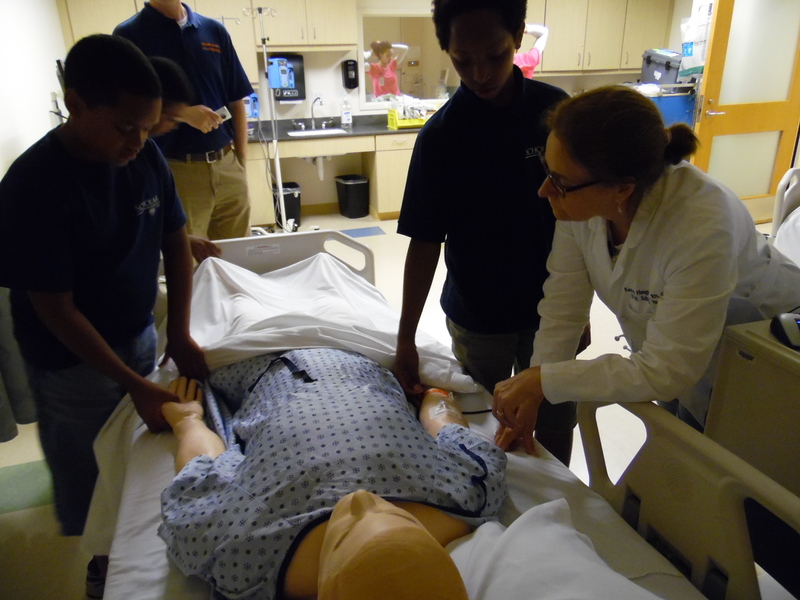 On July 20, 2016 the School of Nursing hosted nine Orange County Students in the Mary Morton Parsons Clinical Simulation Learning Center and were given the chance to perform CPR on simulation manikins as well as check each other’s blood pressure. 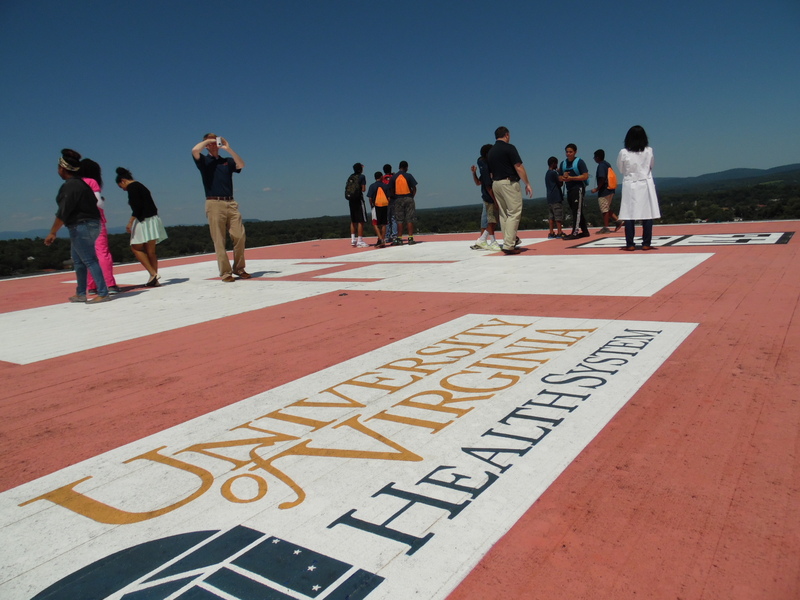 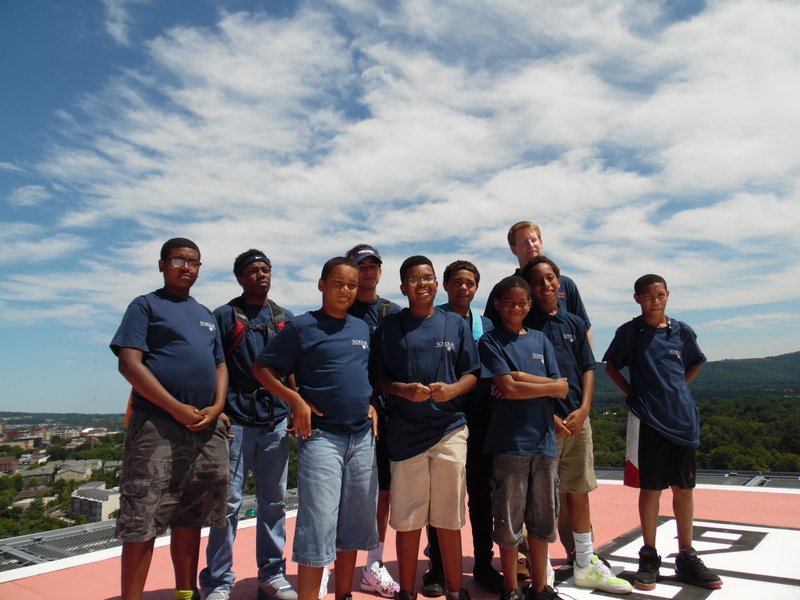 They were then taken on a tour of the Health System’s helipad. 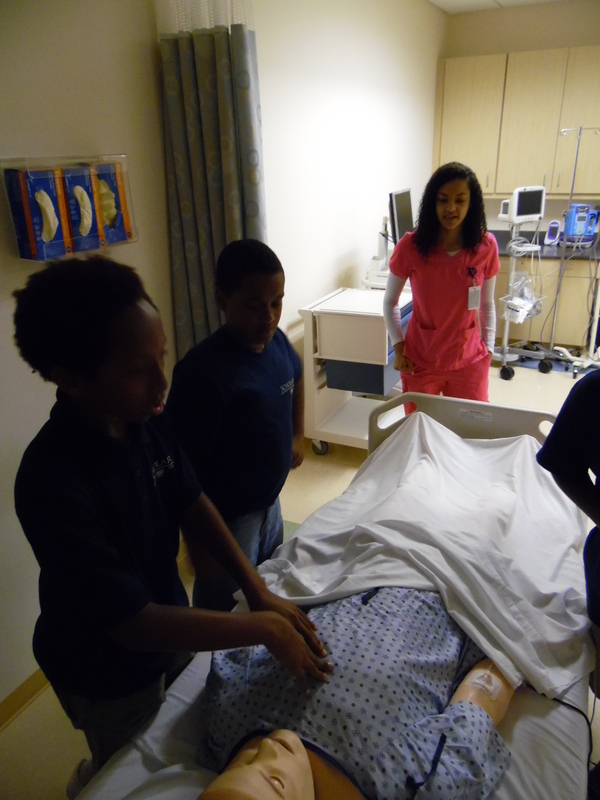 The scholars chose to visit the medical center to explore careers within the field of medicine.